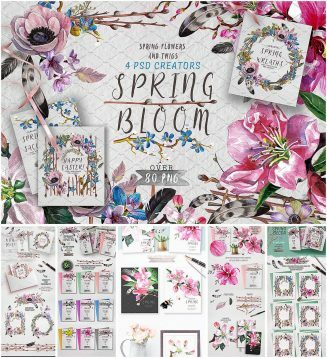 Collection of 80 illustrations: spring branches, twigs, flowers, bouquets, wreaths, frames, ready-made cover designs and 4 creators psd. 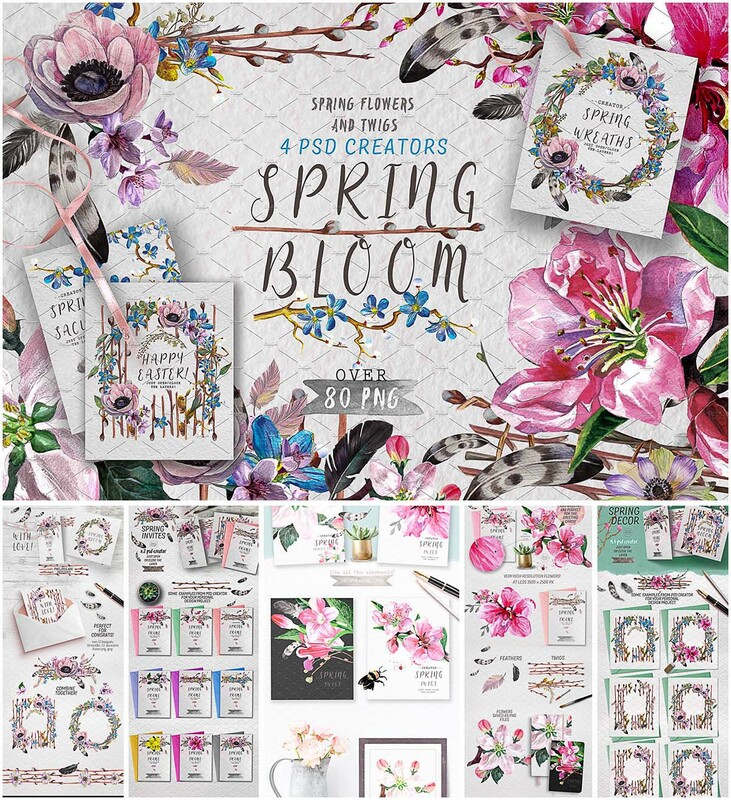 File format: .png,.psd for Photoshop or other software. Tags: bloom, boho, botanical, flower, frame, nature, orchid, premade, tulip, wreath.